The monsoon rain is showing it’s full fury in the state and claimed 13 lives in the last two days. Several houses were damaged across the state and people are shifted to relief camps. Four people died on Sunday, Thiruvananthapuram witnessed two deaths and one each at Pathanamthitta and Alappuzha districts in rain-related incidents. 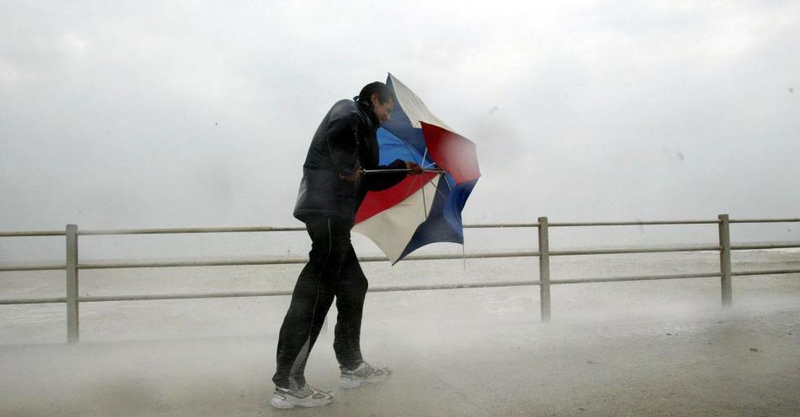 India Meteorological Department said that heavy rainfall and squally wind will continue till Thursday. As the Met department warned fishermen not to venture into the sea, Chief Minister Pinarayi Vijayan asked officials to be alert and take utmost care. “People living in hilly taluks need to be extra careful. Government has taken necessary precautions to meet any exigency. Control rooms have been opened across the state,” he tweeted. Meanwhile, the state government’s 52-day ban on trawling by mechanized fishing boats during the monsoon came into force from Sunday. The ban period has been extended by five more days and would be in force till July 1 this year. Vadakara in Kozhikode district recorded the maximum rainfall of 17 cm in the 24 hours ending 8.30 am on Sunday, followed by Parambikulam (Palakkad district) 13 cm, Kannur, Taliparamba (Kannur district) and Peermade (Idukki district) 12 cm each. The rains have damaged crops and property in Idukki, Kozhikode, and Kannur districts, adding the loss to agriculture and property was being assessed.